For a stay up to 90 days, US citizens do not need a visa for tourist or business travel to this country. A US Passport with at least 6 months validity beyond the stay is required. Any US citizen who wishes to travel to Singapore for any purpose other than tourism or business negotiations (e.g. work, study, adoption, immigration, or stays longer than the stipulated 90 days in the entry requirements) should contact the embassy or nearest consulate directly. Please provide a day time contact number, email address and state the type of visa required – single, double or multiple journeys. Original passport and one photocopy of the applicant’s passport bio-data page. Passport must be valid for at least 6 months beyond the last day of intended stay in Singapore. Completed Form V39A (Letter of Introduction for Visa Application). For visa applicants travelling to Singapore for business purposes, a Letter of Invitation from a Singapore registered business entity is required. (Letters of Invitation from US companies are not acceptable.) The person acting on behalf of the business entity must be a Singapore Citizen or Singapore Permanent Resident who is at least 21 years old. Invitation letters from conference organisors will also be accepted. 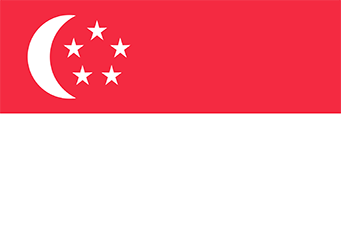 For visa applicants travelling to Singapore for tourism or social purposes, a Letter of Invitation may be issued by a Singapore Citizen or Singapore Permanent Resident who is at least 21 years old. A copy of air ticket and hotel reservations. Detailed proposed itineraries (flight and hotel) will also be accepted. A valid visa to the next destination should be obtained (if applicable). If you are returning to USA after visiting Singapore, please submit a clear copy of a valid US Resident Alien/PR/Green Card or US visa or relevant documentary proof confirming your returnability, eg. INS Parole Paper, etc. Any additional documents that may support your visa application. The processing fee is US$23.00 per visa application. The fee collected is non-refundable regardless of the outcome of the application or if you withdraw the application after submission. The processing of visa applications would take approximately 3 to 5 business days from the date of receipt of complete applications though some may take longer. Applicants should therefore give allowance for processing and possible postal delays before their intended departure. The processing time required is independent of the mode of application (i.e. either by post or in person). There is no facility of expediting service. Depending on the documents produced, local sponsors (i.e. Singapore Citizens/Permanent Residents) and security bond may be required. Processing time: Approximately 5 business days. In addition to the standard Iratex fees, the following consular fees apply: $13.00 per visa, varies weekly. Proof of legal residence in USA (ie: copy of both sides of Green Card) or valid (H1, F1, J1 etc.) visa in passport. Photocopy of confirmed round trip airline tickets required (not itinerary). For stay of more than 72 hours by Chinese citizens, a local sponsor in Singapore is required. Provide name, full address and telephone number of the sponsor. Sponsor must be a citizen or permanent resident of Singapore. Processing time: Approximately 5 business days for stays up to 72 hours. Allow up to 4 weeks to process application for stay of over 72 hours. Please contact our office directly for more information.